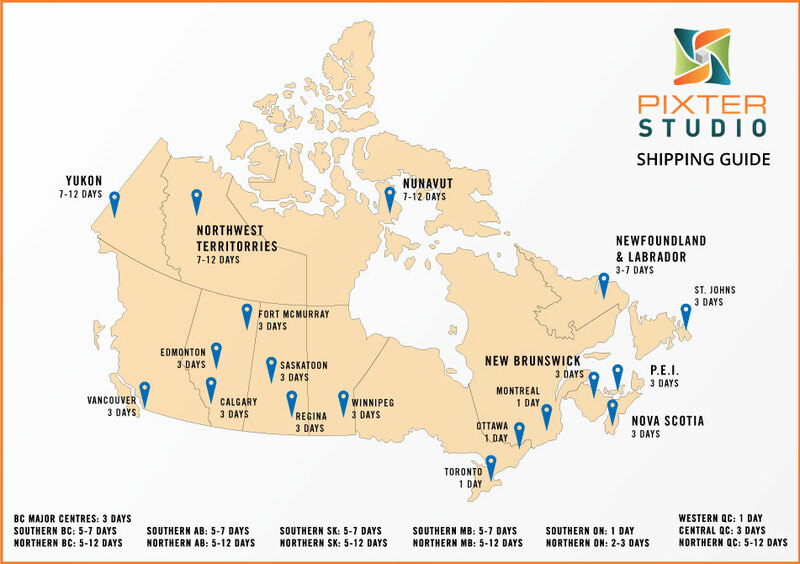 Pixter Studio ships anywhere in Canada. Depending on your location it can take anywhere from 3 days to 14 day to receive your custom art. All of our products are shipped using FedEx and their delivery time may vary throughout the year. Will my print be damaged during shipping? It is very unlikely for your custom art to be damaged during shipping however it does happen sometimes. If your custom print does suffer any damage please contact us immediately and we will remedy the situation in a timely manner. All of our shipments are insured to cover the rare occasion when damage does happen.